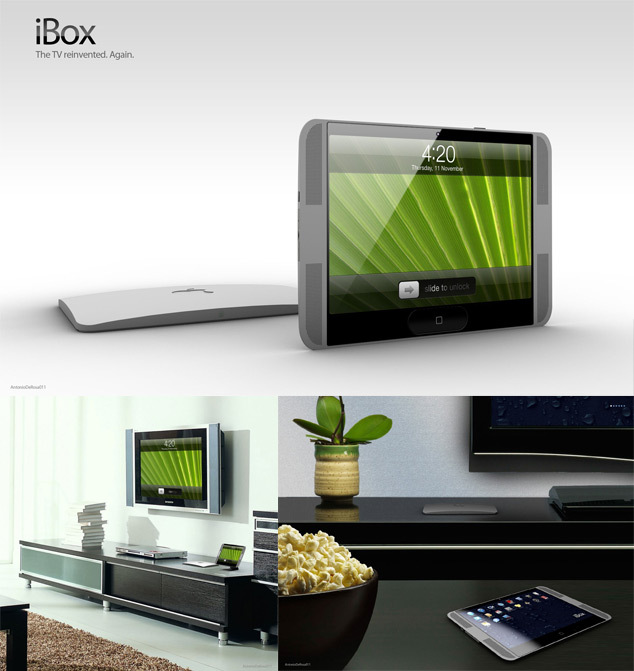 The Top Apple Concept Designs for 2013 – iDesk, iTV, iWatch, and More! Apple is, undoubtedly, the most innovative company in the 21st Century, and with rumours flying around the web about upcoming Apple products such as the iDesk, iTV, iWatch – here is a list of the top Apple concepts we can hope for in 2013. What would happen if Apple re-invented the desk? Well, a little something like this. The iDesk is essentially Microsoft’s Surface technology (the original Surface, not the tablet) mixed in with some Apple-esque design and NFC technology. 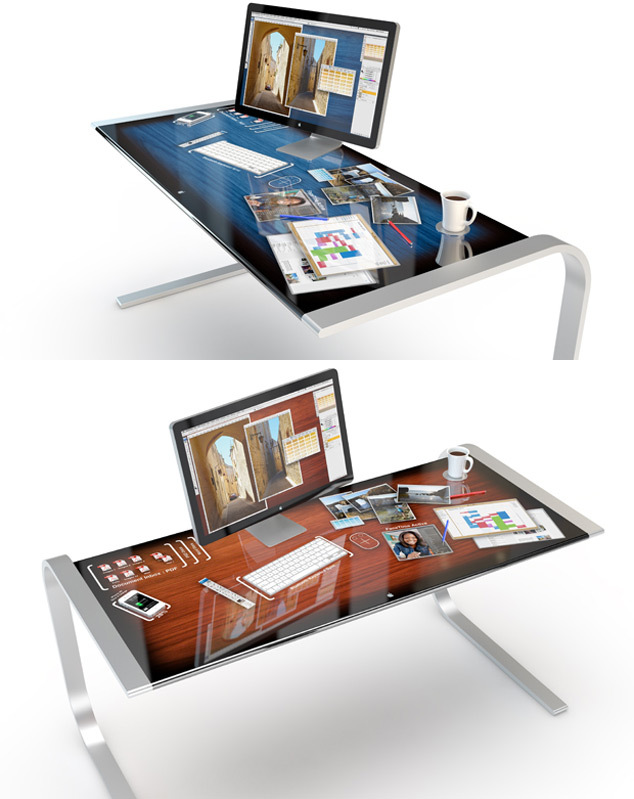 iOS devices syncs by simply placing it on the desk and there is no need for a mouse as the desk is touch sensitive. 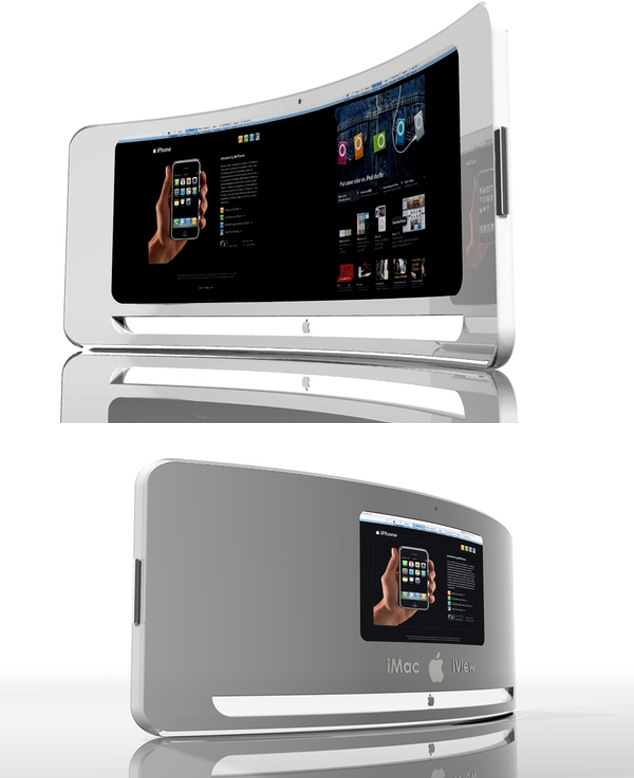 The iView is a take on the iMac with a curved display that is specifically made for the human eye. Ensuring full visibility at all times will greatly increase productivity. It features two webcams and even a backend display. 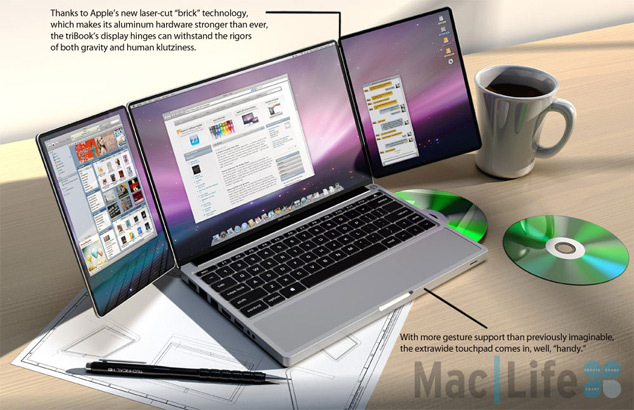 Imagine a MacBook with three screens at your disposal. This is exactly what the TriBook accomplishes, you have one regular laptop screen in the center and two foldable screens on the side for when tasks require just that little bit of extra room. 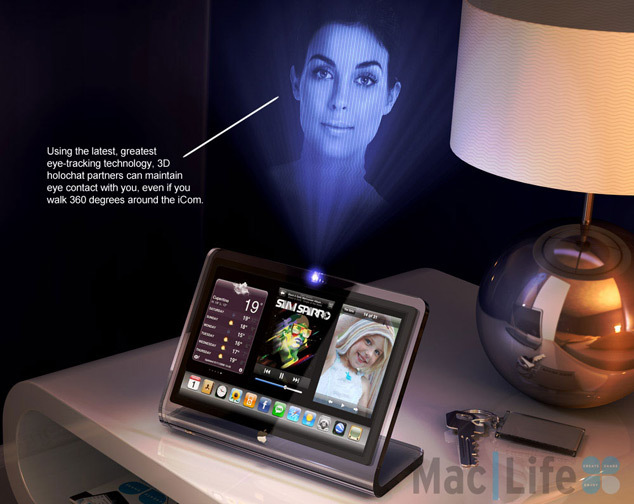 This concept is a resizable MacBook that has a holographic display. There is a Kinect-like motion sensor that has the ability to scan objects and convert them into 3D models and it can also be easily compressed to the size of an iPhone. It is essentially just a normal LED TV, but its remote is an iPad-like device, with an interface familiar with an iOS device. It of course features Siri integration and has a Kinect-like motion sensor. 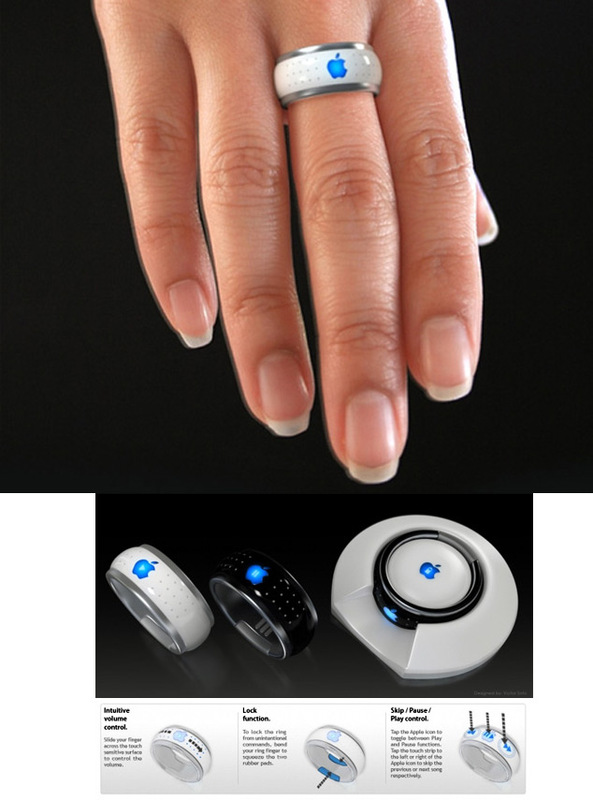 The iRing is, as it sounds, a ring that would connect to Apple devices over bluetooth. It would be able to increase / decrease volume, lock an iOS device and also Skip / Play songs. The iRing features an OLED display and a touch sensitive strip. It even comes with a neat cradle charger. 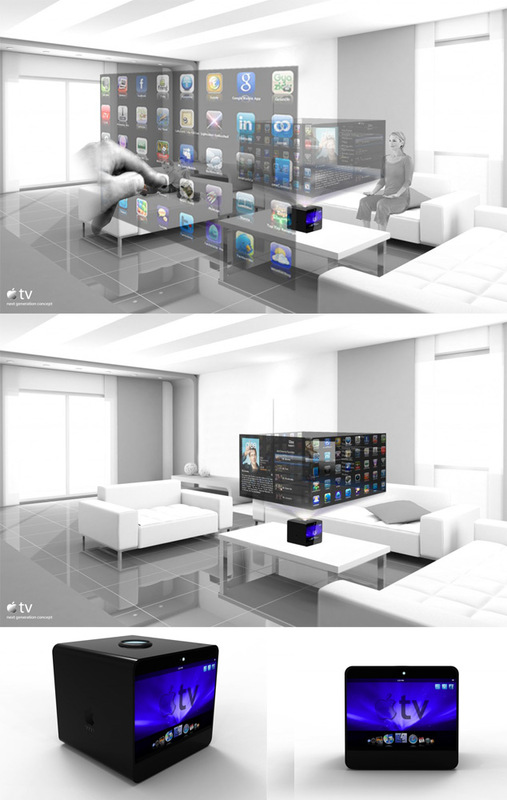 This iTV concept consists of an interactive box with a holographic display. Upon being turned on a 4-sided holographic display is brought up that is capable of entertaining 4 people. On one side someone could be watching a movie, while others are playing a game, surfing the web etc. This is a very simple concept that could change the market once again. Apple almost hit the market with the iPod Nano before changing the design, but could re-enter the market with a redesigned Shuffle that is also a bracelet/watch. 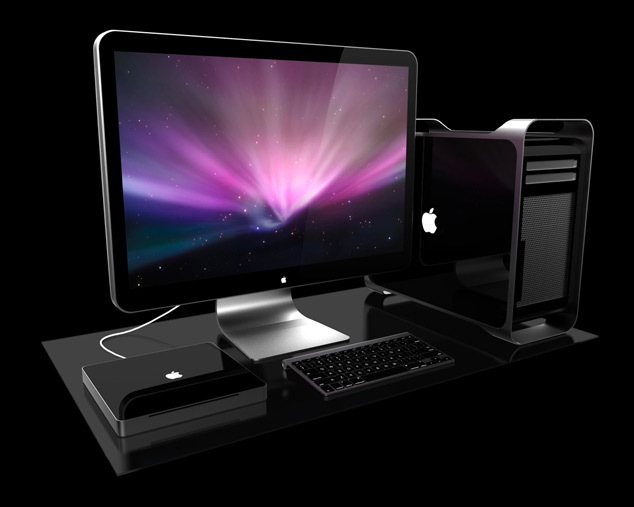 This one is simple, a black Mac range. The iCom is essentially a bedside hub that functions as a music player, digital picture frame, weather station, alarm…. oh and a holophone, just because. A transparent iMac with a 30-inch ultra-thin LCD screen that is totally transparent when the iMac is not in use. You can actually set the screen to various levels of translucency when you are using it and much more. 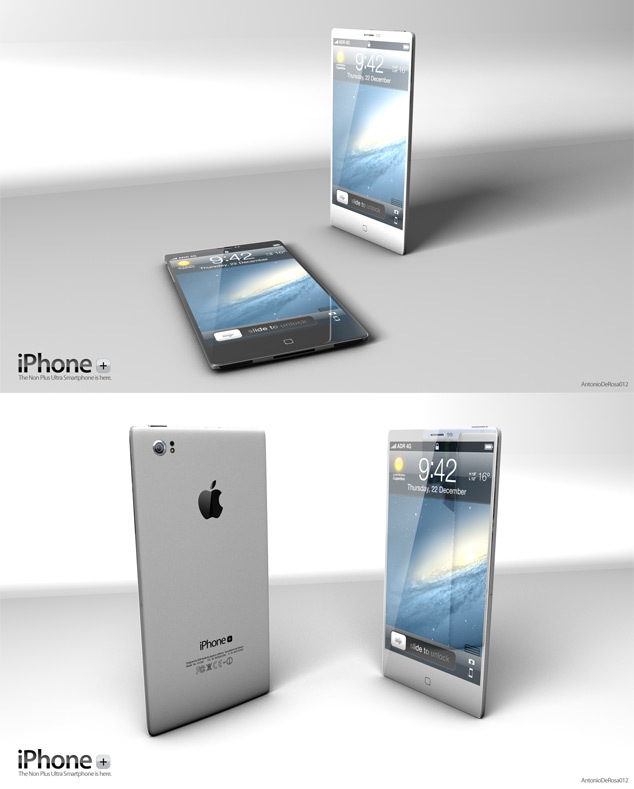 When it comes down to it, the iPhonePlus is how everyone really wanted the iPhone 5 to turn out like. 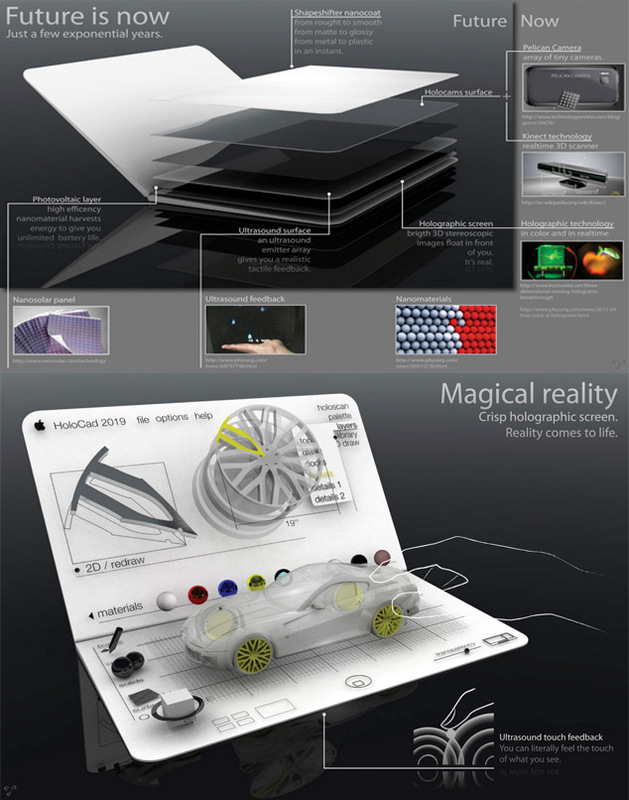 It is made out of liquid metal, has an internal pico-projector and so much more. The iPhonePlus is slim, has a display like the iPad Mini and leaves your breathless. 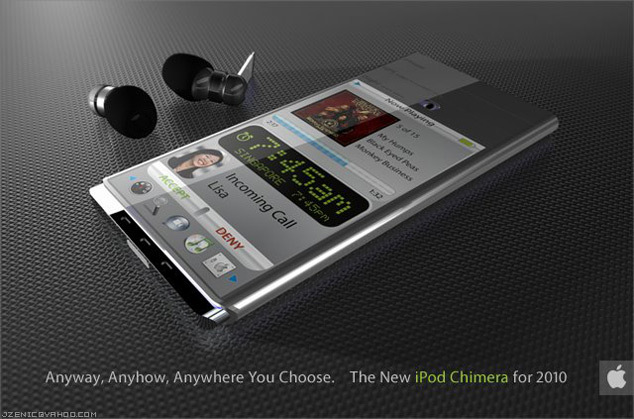 The iPod Chimera comes with a 500GB or 1TB hard drive, it’s made of titanium, has a Retina display and so much more. Various configurable options include: Two-way iSight camera, GPS for navigation, weather, emergency beacon, Sirius Radio/Video, GamePod, HD receiver for off-air HDTV or radio. Ok, so some of these are a bit far-fetched, but cool none-the-less, and definitely follow the Apple design and revolutionary mindset. 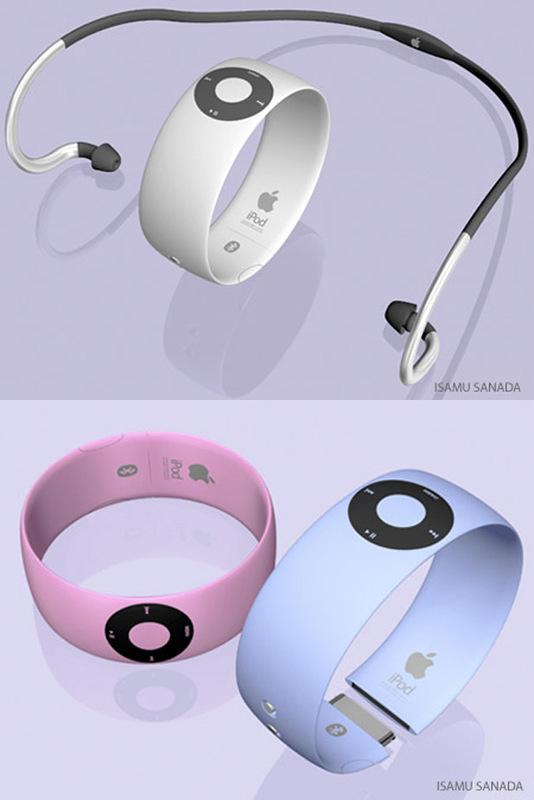 There is room in the market for these, and I hope we see Apple bring these to life.